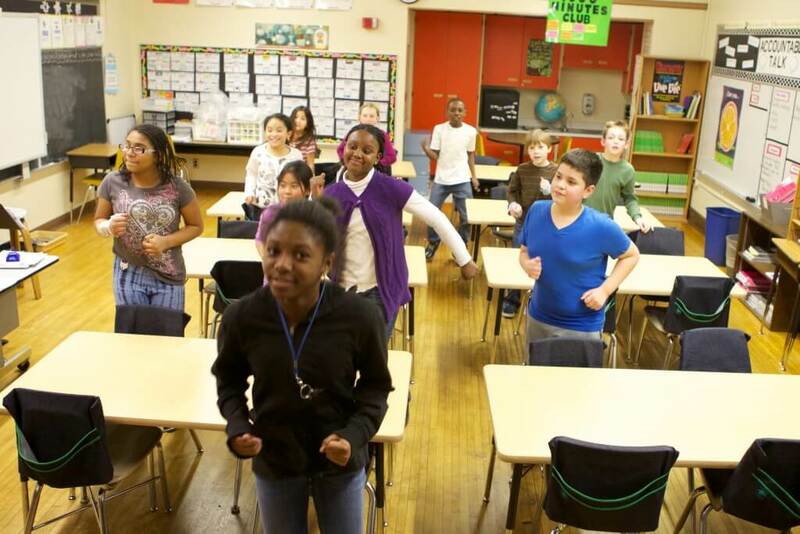 Young people will gain an understanding of the importance for regular physical fitness and explain how a pedometer works to help them track physical activity. This lesson helps young people understand how to use a pedometer to measure their daily activity levels. 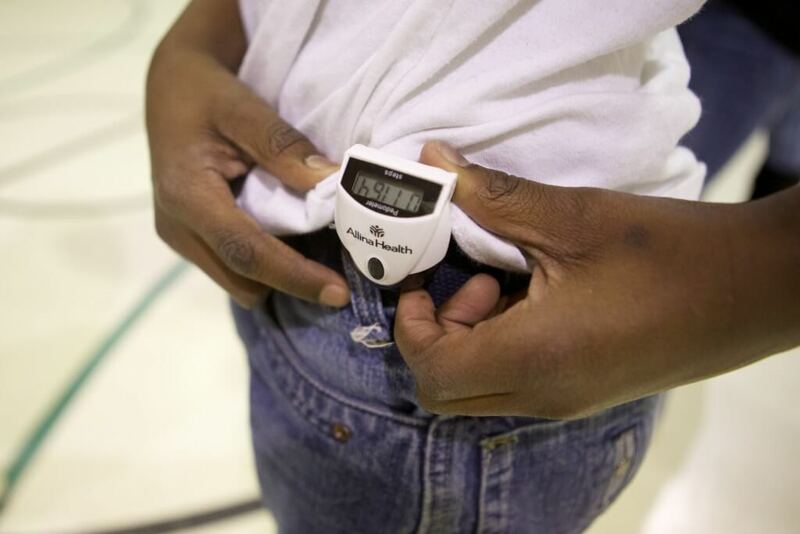 The youth are introduced to the pedometer, learn how to operate it and test its accuracy. In the subsequent days or weeks, young people can track their steps on the provided forms. Challenge your group by adding up enough steps to reach Minnesota landmarks or make it all the way to Disney World in Florida! It helps build and maintain healthy bones and muscles. It increases flexibility and aerobic endurance. 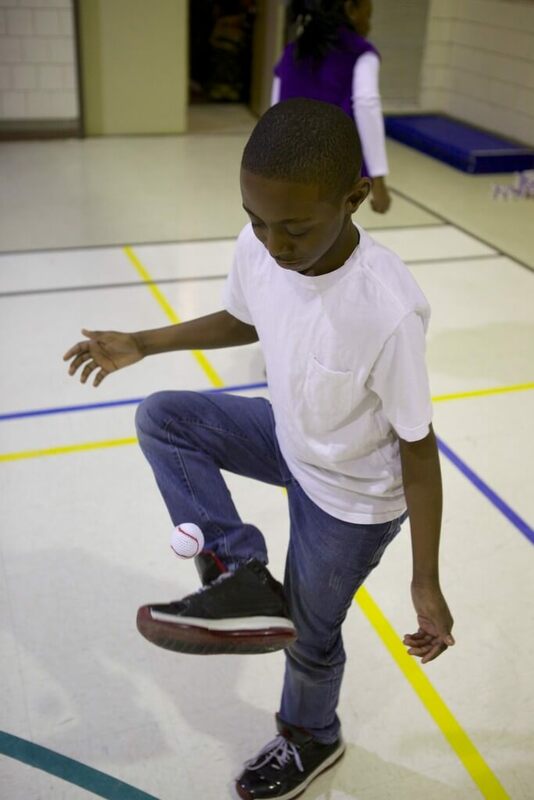 Ask the youth for more ideas on the positive health benefits of being physically active. A pedometer is a small device that counts your steps. It runs on a battery and is breakable. It is worn on your clothing (pants/shorts/skirt) at waist level, straight up from either knee cap. “If you shake it, you may break it” or “if you shake it, I may take it” are good phases to share with the youth when you introduce these devices. It may be a good idea to number or put young participants’ initials on the pedometers to help keep them straight and accountable. Allow young people a few minutes to examine the unit and various buttons. Have them locate the reset button. Tell them to push the reset button until the numbers all return to zero. This is the number they should start at each morning. For the pedometer to measure steps accurately it needs to be positioned correctly. Follow these three steps for proper placement. Place a finger on your knee cap and draw an imaginary line straight up to your waist. Secure the pedometer to your clothing. Make sure your pedometer is level and not tilted. In a long hallway or gym or on a sidewalk, set up a starting line and finish line. Have each young person put on their pedometer, push the reset button, and walk from start to finish. Have each young person count how many steps they are taking (silently to themselves). At the finish line compare the number they counted to the number on the pedometer. Tell the youth that the number should be within five steps. If it’s not, have them try it a second time and if it’s still not accurate try a different pedometer. Pass out and explain the Pedometer Fitness Challenge Worksheet or the Pedometer Fitness Challenge Step Tracking Spreadsheets (see What You Need). These will be their method for tracking daily and weekly totals. The goal of the pedometer fitness challenge is to work as a group to simulate walking from the Mall of America in Minnesota to Disney World in Florida. The group will need to take about 3,290,000 steps to get from Minnesota to Florida. Track your classes’ weekly progress on the spreadsheet and a map of the USA, if possible. Reset your pedometer to zero each morning. Wear your pedometer each day, all day long. Record the number of steps you took each day at the end of the day. Add up your step totals each week. One mile equals about 2,000 steps. Determine your individual daily step goal. See if you can find new ways to add steps to your daily total! Track your classes’ weekly progress on the spreadsheet and a map of the USA, if possible. Note progress toward the goal of adding up enough steps to reach Disney World in Florida. If that goal is reached quickly add other elements to keep it interesting, such as making the trip back, or calculating the number of steps needed to reach other landmarks and aiming for that many steps. Also encourage young people to work on increasing their own personal steps-per-day or steps-per-week. Help them identify challenging but realistic goals. Hand out the Healthy Families Newsletter in English or Spanish, which also includes these tips, so that families discuss the Pedometer Fitness Challenge at home. Are you getting 10,000 steps a day?